The Jiji earthquake, known locally as the 921 earthquake, happened 19 years ago today. It exposed the weakness of local inhabitants’ environment, however, most of the architects in Taiwan had yet responded to the fact. Beginning with a reconstructing team of 5 people working with the Thao Tribe, the architect Hsieh Ying-Chun utilized a holistic construction technology – a value system – of lightweight steel structure and co-operative construction. Since then he travels to wherever the need arises and has fabricated thousands buildings around disaster areas in Asia. The two images both consist of pencil lines. This idea comes from the lines and sketches in the blueprint, which represent the proficiency and expertise of the architect. The picture displays yin and yang (“dark-bright”); one is long and uneven lines composed of continuous and repetitive drawings, the other half is large areas composed of ceaseless and overlapping sketches. Though the lines are rough and crooked, they are the lines outlined by the victims. The lines drawn by the victims may not be as neat and straight as architects do, but they are full of meanings and warmth, which depict Hsieh’s concept of “taking victims to build their homes with their own hands.” The straight lines also exemplify the steel structure that Hsieh has been promoting. On the other hand, the color blocks made up of pencil lines represent lands and environment. Every land is loaded with victims’ emotions, filled with victims’ despair and hope. The vision details the color black and gray to separate the two images; the colors are also chosen from Hsieh’s symbolic steel structure. 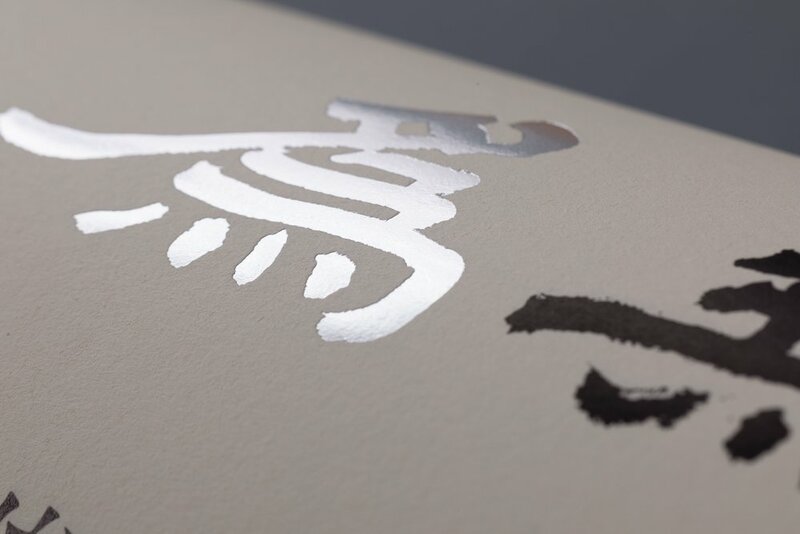 On the poster, the main color selected is dull silver, which is grand and elegant. Acts Without Effort - The Societal Architecture of Hsieh Ying-Chun as the first major survey of architect Hsieh Ying-Chun, Acts Without Effort presents Hsieh Ying-Chun’s practice of post-disaster reconstruction, projects of new rural and community-based development, and his concepts of a tri-dimensional urban land and the making public of building structures. 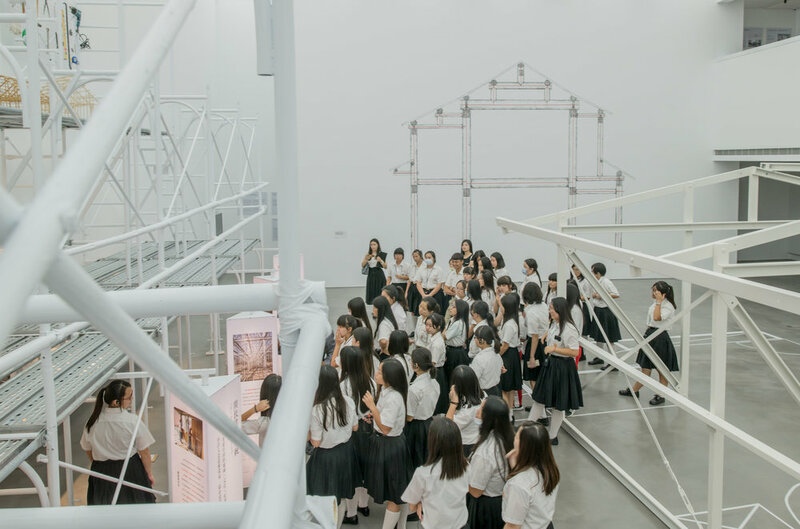 The energy of social restoration that runs through Hsieh Ying-Chun’s architectural practice coheres with what Curator Huang Sun-Quan refers to as ‘Societal Architecture’. More than merely post-disaster reconstruction and humanitarian aid, Hsieh’s work is a response to the equally urgent issue of contemporary social housing. While facing the issue of construction common to 70% of humans worldwide, it questions how people can take up sustainable residence in the natural environment and how to reach a balance between the creativity of individuals and the commons of urban planning. By applying the digitalized technology to future building as the basis of citizens’ self-build projects, it aims to elevate weak architecture to excellence in construction, That is one enriched by poverty.